I just got back from a very long, very cold, very wet run, and it’s gotten me thinking about a line of questioning that returns around this time every year: How does one describe the suffering that a runner chooses to endure, while training or racing? 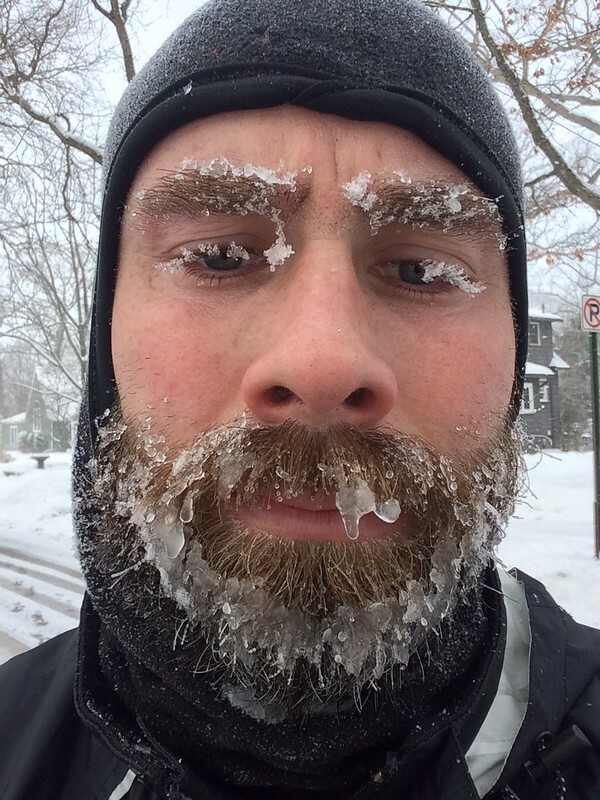 How does one quantify the level of toughness needed for running in less-than-ideal conditions? I’ve been considering these dynamics for awhile, and I’ve been working with my friends to formulate a new system for talking about just how hard-core, tough, brutal, and “Bad-Asp” these runs really are. 10 Bad-Asp Points for every slip or fall (getting knocked off one’s feet by surface conditions). So today, my friends and I went for a 12-mile run in the pouring rain, with temperatures just above freezing. It was pretty miserable, though I’ve never had a way to quantify that misery until now. A(tmospheric Conditions) – 0 Points (I struggled with this one, because 36° Fahrenheit technically falls within “Reasonable Running Conditions” even though it feels way colder with the soaking rain… But I’m going to stick with the system for now). I can provide some other examples, drawing from the photographs I chose to include in this post. In the top picture, I was training with some friends for a 25K Trail Race. 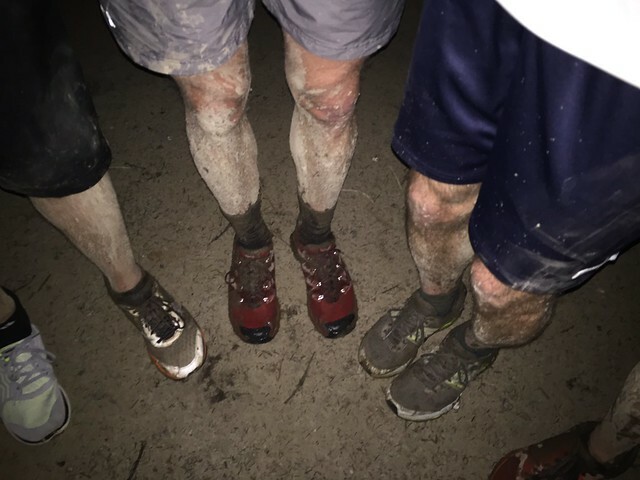 Trail running is pretty Bad-Asp under the best of circumstances. But I’m not sure I’ve ever seen trail conditions as bad as what we experienced on a relatively-warm spring evening on March 12, 2016. B(lood) – 25 Points for the fact that the aforementioned blister was oozing blood and pus. 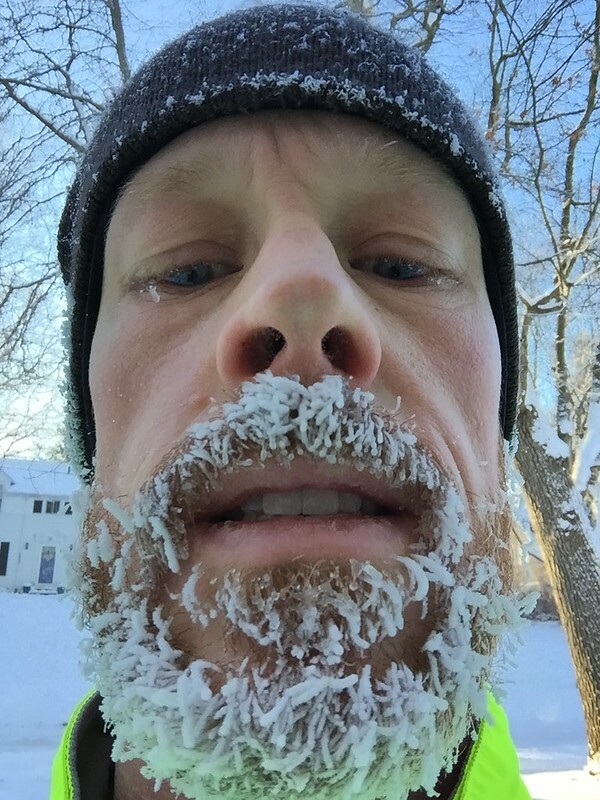 The two “Ice Beard” pictures on this post were actually taken on two separate occasions, but I think they provide a good visual representation of one particular run with my friend, Jason Slack, from January 30, 2015. What do you think? I’m still working out the kinks in this system, and I may yet provide another update. But as the winter season deepens, it feels good to have this ready for further beta testing. This entry was posted in Culture, Recreation, Running, Sports, Weather. Bookmark the permalink.